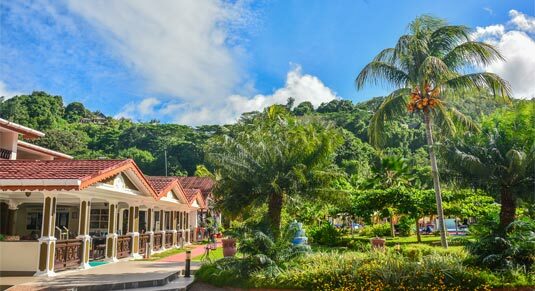 Praslin has lots of temptations – tangled velvet jungles, curving hills dropping down to gin-clear seas, gorgeous stretches of silky sand edged with palm trees, a slow-motion ambience and a divine laid back vibe. Being at Berjaya Praslin Resort puts you right in the heart of all that and fulfils your fantasies for a perfect island getaway. Cocooned perfectly in a blissful seaside scape, expect rooms of warmth and contemporary comfort with scenic views of the garden, pool and sea.